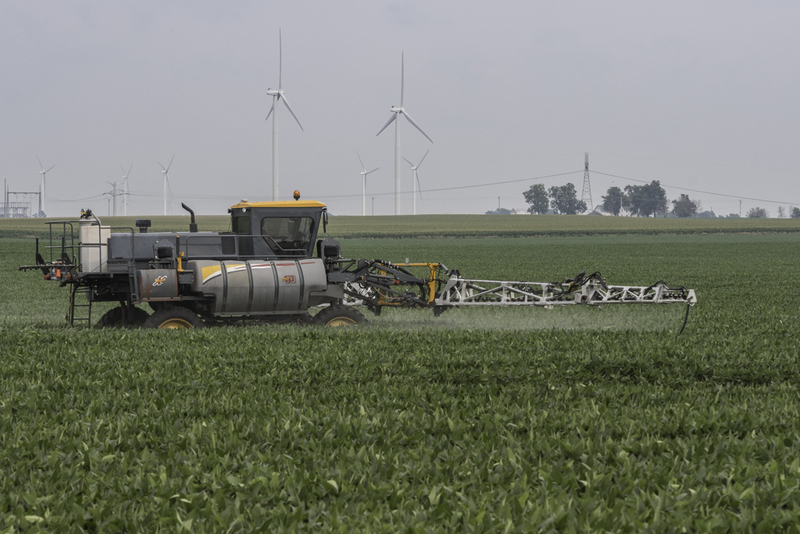 A pesticide applicator sprays soybeans in rural McLean County in Illinois on July 26. 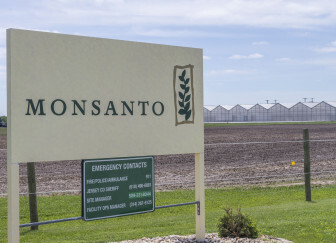 The U.S. Environmental Protection Agency lessened protections for crops and wildlife habitats after Monsanto supplied research that presented lower estimates of how far the weed killer dicamba can drift, according to a review of federal documents. In its final report approving the usage of dicamba on soybeans, the agency expressed confidence that dicamba, new versions of which are made by Monsanto and German chemical company BASF, would not leave the field. The registration covered both herbicides, an EPA spokesperson said. The drift also allegedly damaged oak trees, wildlife habitats and other crops, such as vineyards, across the Midwest and South, according to news reports, environmental groups and complaints filed with state agencies. Usage of dicamba increased greatly after the U.S. EPA approved new versions of the herbicide in November 2016. For the first time, it could be sprayed on soybean and cotton seeds genetically engineered to withstand the herbicide. The companies touted their new formulations of dicamba, a traditionally very volatile chemical, as less prone to move off target after application. However, research conducted in 2017 at the University of Arkansas found that dicamba drifts up to 220 feet, more than double the EPA buffer zone. 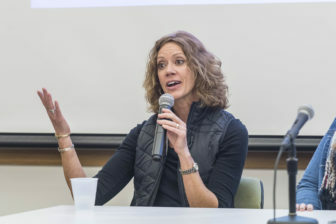 Jean Payne, president of the Illinois Fertilizer and Chemical Association, speaks at the Champaign Public Library on February 22. Pesticide applicators, the Illinois Department of Agriculture, BASF, Monsanto and the U.S. EPA were all aware of the risks that dicamba posed to sensitive areas that are home to wildlife habitat for endangered species, according to a February 23, 2017, email written by Jean Payne, president of the Illinois Fertilizer and Chemical Association. The association includes pesticide applicators and chemical companies.